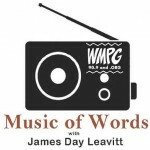 Tune in from 8:30-10:00 PM every Wednesday Night for my "Music of Words" show. You'll hear a mix of Folk, Jazz, Soul and Rock with Spoken Word intermingled. There is an emphasis on meaningful/thoughtful lyrics. The show explores music and words to find where poetry and music can live and breathe together over the airwaves. You never know whose voice you might hear emerge from your speakers; Dylan Thomas, Allen Ginsberg, Raymond Carver, Sylvia Plath, Joseph Campbell have all visited so far. The last Weds. of each month will be an installment of The Recollection Radio Show, which is dedicated to the importance of music in our ever-changing lives. It is a testament to how music shapes and informs who we are and how we see our world. RRS interweaves personal recollections of songs along with playing the songs themselves. and fill the simple form out under the link "Be Part of the Show". I will create my playlist using your memories and songs that spark them. The idea is to help foster an appreciation of how music matters to us and how it has been essential in shaping our understanding of love, life, dreams and wishes. Let me help you get through the middle of the week with great music and words married together for your enjoyment! I grew up in Bath, Maine. I spent most of my 20's in Oakland, California, playing bass in Three Years Down and Witticus, two East Bay punk bands and playing solo shows. I returned to Maine in 1999 and live in Portland with my wife , Katie, and two daughters, Audrey and Ida. Go to http://warpedmirror.wixsite.com/jamesdayleavitt for more info on my music.